Our country is going crazy, right? So – what am I doing about it? What are you doing about it? Are we too busy just talking about it and shaking our heads? Are we spouting off negativity to everyone around us and filling Facebook with our rants? Or are we doing something positive to help turn the trend one small step at a time? When Israel was going down the tubes thousands of years ago, God told Ezekiel that he was looking for someone – anyone – who would build a wall against the injustice that was happening. A wall that would keep out the lies and oppression. Is this same thing happening today? Is it all just talk? Or are you and I figuring out how to do our part in standing in the gap for our country? Let’s pray daily for our country. Let’s put feet on the ground and work together to help turn our country back into the land which was founded with “In God We Trust”. 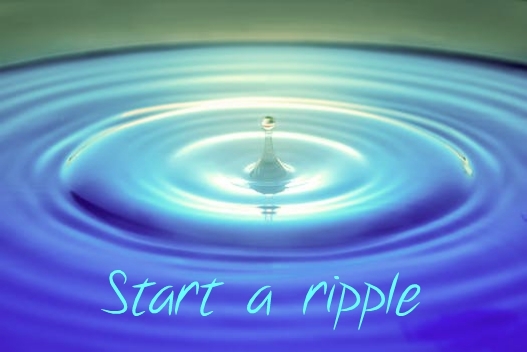 Please help each of us start a ripple that will become a bigger and bigger wave as we all join in the movement to turn our country back to you, Abba Father. Nothing is impossible for you.